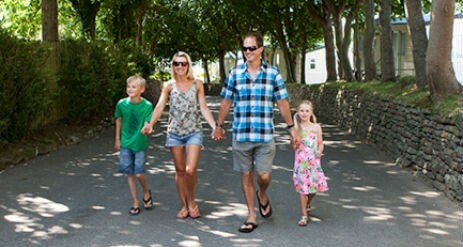 Enjoy a glamping holiday at our five star award-winning holiday park in Newquay, Cornwall. Hendra is a family fun holiday park in Cornwall and if you are looking for glamping pods, luxury caravans or camping and touring facilities we have it all for your next seaside holiday. Our central Cornwall location is ideal for visiting the film locations for Poldark and Doc Martin! Check out Porthcothan beach (Nampara Cove), Constantine Bay and Charlestown Harbour for Poldark and Port Isaac for Doc Martins Portwenn. Hendra has a GOLD 5 Star Visit England grading and a GOLD 5 Pennant AA rating. Hendra also holds the Visit Cornwall 2016/17 GOLD for Holidays Parks, a GOLD for Sustainable Tourism Business, a SILVER award for Caravan & Camping and the ultimate ‘Winner of Winners’ Award. In 2018 we won Hoseasons Diamond Award, Platinum Loo of the Year Award, AA Platinum Award, and two South West in Bloom Awards. Henry’s Play Loft – Slide, roll, climb and wriggle. Jump, bounce, swing and giggle! Our super new indoor play centre for children under 10 years, with a seated area for adults, and drinks and snacks available. Our camping pods are more popular than ever and these spacious wooden ‘tents’ are designed to offer more privacy and security than canvas, and the outside decking provides a great dining and cooking space. 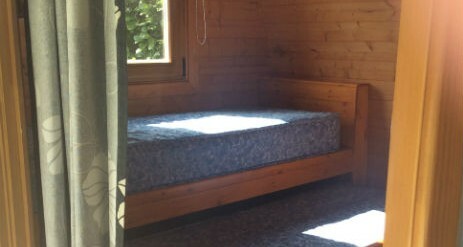 It’s a luxury camping experience and the perfect option. A Hendra pod offers a great glamping experience in Cornwall with the benefit of solid walls, just bring all your camping kit minus the tent! 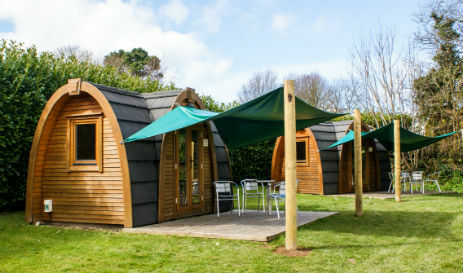 All our lovely camping Pods are located together in a secluded tree-lined area of the park called Trevilley. Premium Pods – New for 2018! 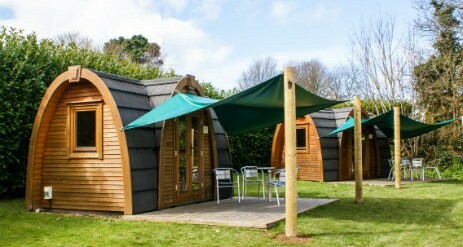 Check out our super new pods! 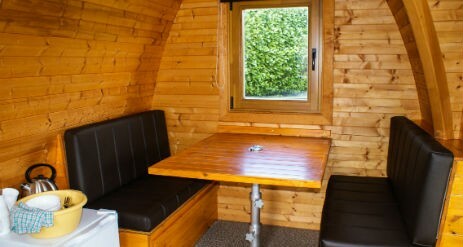 Enjoy luxury ‘glamping’ without needing all the camping gear, just book and stay! *Please be aware that Family Pods may not be large enough for families with teenage children. An outside lockable storage box in which to stow luggage etc. 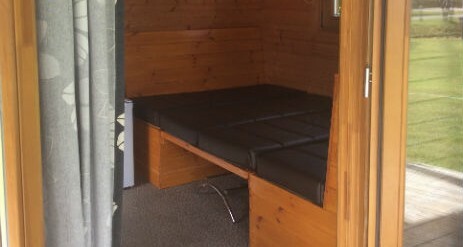 ** The service is provided by Camping Connect and you can choose from a flexible tariff. Please call enquire for more details. Oasis indoor and outdoor pools is one of Hendra’s main attractions, with slides, geysers and a toddlers area. We have entertainment, bars restaurants, a skate park, amusements, play areas, discounted rates to local attractions and more!